Wastewater Evaporator – An Evaporator technology is one of the simplest and effective approach. Austro Water Tech’s Evaporator has been engineered to efficiently evaporate the content form various wastewater sources. The Power exhaust system present in the evaporation mechanism releases the moisture. The Evaporator Treatment is equipped to assure trouble free operation. If you are paying for wastewater disposal… Using an evaporator will dramatically reduce your disposal volume and cost. If you are having difficulty meeting permissible discharge limits to your sewer facility or are frustrated by the expense of accountability to the sewer facility… Using an evaporator provides a method for eliminating your discharge effluent. If you are in a rural location and do not have a sewer to discharge to… An Evaporator provides an affordable method for handling your wastewater discharge problem. If you are experiencing water shortages or high city water costs… evaporators are an excellent low energy cost solution for closed loop wastewater recycling. Wastewater evaporation is a time-tested method for reducing the water portion of water-based wastes. In it’s simplest form, the evaporator converts the water portion of water-based wastes to water vapor, while leaving the higher boiling contaminants behind. 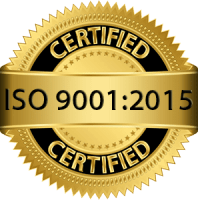 This greatly minimizes the amount of waste that needs to be hauled off-site. The evaporation process itself involves both a thermodynamic and mass transfer phenomena. The thermodynamic phenomenon of evaporation involves providing enough heat energy (waste oil, off-spec gas, natural gas, propane, oil, diesel, electricity, or steam) to convert water to water vapor. The mass transfer phenomenon of evaporation can best be described as the “carry off” of small droplets of water. These droplets are created at the surface of vigorously boiling water and are “carried off” by over sized blowers or unfiltered water vapor. This “carry off” is problematic with wastewater applications since the droplets of water may have contaminants such as soaps, metals, or oils en trained in them, thus causing an environmental impact outside the building. This “carry off” of droplets is minimized on all wastewater evaporators through use of a mist eliminator and other design considerations. Evaporation is not only a natural phenomenon but also a clean separation technology that has been recognized as a best available technique in several wastewater treatment processes. Evaporators are industrial systems that help accelerate the natural evaporation process. The evaporation technique is characterized by transforming liquid effluent into two flows, one of high quality water and the other comprising a concentrated waste. The water obtained is of sufficiently high quality to be re-used, whereas the waste can be concentrated, even reaching almost total dryness. Waste management costs decrease markedly when concentrating the waste to this extent. To evaporate the water without significantly increasing energy costs, this process is conducted under vacuum rather than at atmospheric pressure. This allows energy savings. As the pressure is decreased, the temperature at which water boils also decreases. For example, although water boils at 100 °C at sea level (pressure of 760 mm Hg), at the summit of Aneto (3404 m above sea level, with an atmospheric pressure of around 500 mm Hg) it boils at 88 °C and at the summit of Everest (8848 m above sea level, with an atmospheric pressure of around 225 mm Hg) it boils at 68 °C As such, if the pressure inside the evaporator is substantially reduced, water boils at close to room temperature: when working at an absolute pressure of 40 mm Hg, water evaporates at 34 °C. In practice, as the liquid that boils is not pure water, the boiling temperature is slightly higher. Heat pump-based vacuum evaporators: heat is passed to the liquid to be evaporated, via a heat exchanger, upon compression of a refrigerant gas. Subsequently, a condenser that cools the liquid evaporated, using a thermostatic valve, causes the refrigerant gas, which circulates in a closed loop, to expand again. As the equipment operates under vacuum, it is possible to evaporate at temperatures of around 40°C, thus meaning that no other heat or cold source is required and making this an economically attractive process. Mechanical vapor compression vacuum evaporators: the distillate is compressed mechanically to increase its temperature and obtain superheated steam, which, by way of a heat exchanger, releases its energy to heat the liquid to be evaporated whilst the vapor itself condenses. This does away with the need for energy to heat the liquid to be evaporated and a refrigeration source for condensation. Multiple effect vacuum evaporators: these comprise various evaporators connected sequentially. The first uses hot water or fresh steam to heat the liquid to be evaporated. The distillate generated in the first evaporator acts as a heating agent in the second evaporator, and so on, with the vapor generated in the second evaporator being used to heat the liquid in the third evaporator. This is a very competitive option when the flow to be treated is high as significant heat savings with respect to a single-effect evaporator are possible.The advantages of wastewater evaporators for the treatment of wastewater and liquid effluents are wide ranging and important. The first of these is that this is an efficient technique for the treatment of waters that are difficult to treat using conventional techniques, which often do not provide optimal results. Vacuum evaporation is an effective and competitive technique in such cases. It should also be noted that the distilled water obtained is of very high quality and can be re-used within the same process, thereby allowing a zero waste policy to be implemented. In addition, the concentrated waste, which undergoes a significant weight reduction, means that waste management costs are markedly lower. Moreover, there is generally no need for chemical reagents, except on specific occasions when an anti-foam agent must be added. Similarly, the equipment required is compact, practical and instrumentalized, thus meaning that operational monitoring is simple and allowing effluent flows of up to 20 m3/h to be treated in a single evaporator. Finally, it should also be noted that as the effluent does not need to be heated to high temperatures, as the water boils at 35-40°C (depending on the operating pressure) when working under vacuum, the evaporator’s energy requirements need not be high quality power supplies and excess energy from other processes will be of use in the majority of cases. Different reliable heat transfer technologies and sizes to fit better your needs. Can be combined with RO plant for ZLD projects. In summary, evaporation is a novel, efficient and competitive technology that provides very good results as regards treating those effluents that prove complicated to treat using other techniques. This technique often allows the implementation of zero waste policies, with all their inherently positive environmental repercussions. In addition, as a result of the lower quantity of waste generated and the production of a high quality water flow, the initial investment is recovered relatively quickly. Furthermore, this is even faster if excess energy from another process can be used. On an average of 95% the original waste is evaporated by thermal evaporators convert the water component. Before any investment in Evaporator, the cost reduction by maximizing recovery with membrane system. The traditional means of evaporators is to produce the solids. 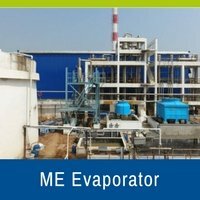 There are basically few types of Industrial Evaporators such as Mechanical Vapour Evaporators, Multiple Effect Evaporators, Atmospheric Evaporators, Humidification – Dehumidification Evaporators, Falling Film Tubular Evaporators, Rising Film Tubular or Plate Evaporators, Rising/Falling Film Tubular Evaporators, Forced Circulation Evaporators, Submerged Circulating Crystallizers, and specialized caustic concentration systems. Austro’s Team of Experts can help you find the solution of Evaporators by checking the products’ propensity for fouling, viscosity and fluidity etc. The evaporation generally takes place at higher temperatures, your evaporation mechanism should be manufactured from a durable, strong materials which can withstand severe temperature changes. Avoid Evaporation process shutdown and higher maintenance by choosing the right elements. For more details and project portfolio.